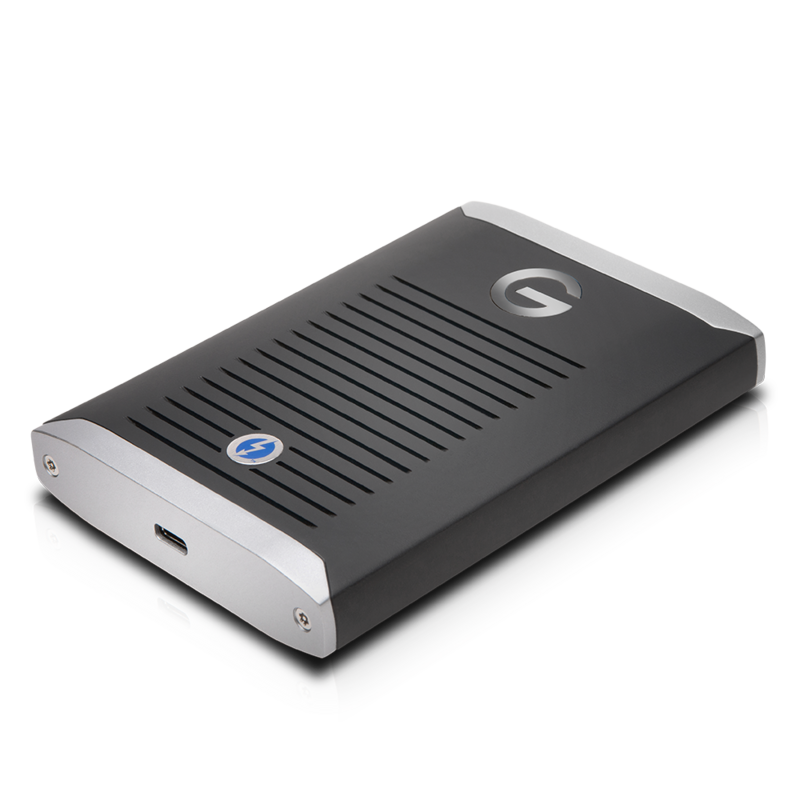 With storage running at 2800MB/s1, the G-DRIVE mobile Pro SSD lets you edit multi-stream 8K footage at full frame rate, quickly render VR projects and experience them at full resolution, and transfer as much as a terabyte of media in seven minutes or less wherever you are (for 1TB or higher capacities). 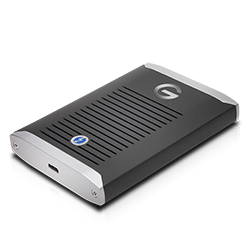 A durable, shock-resistant design uses hand-picked components to endure your travels, while a single Thunderbolt 3 port lets you instantly edit footage on the go with incredible speed without the need for wall power. 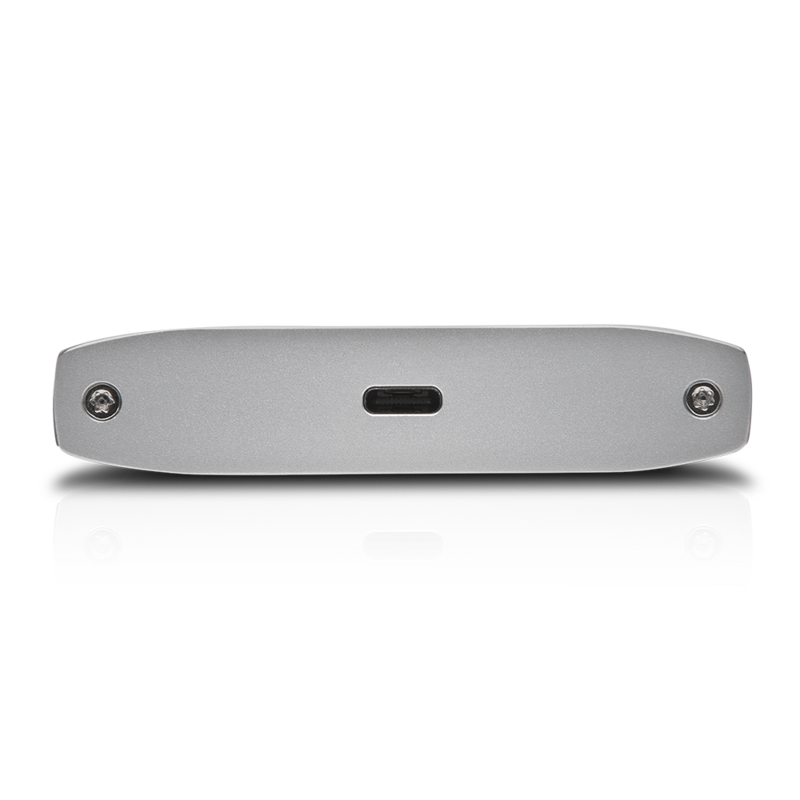 An aluminum core helps prevent overheating to maintain a consistent high level of performance, and with a trusted 5-year limited warranty, you get durable, blazing fast storage ready to stick with you for years to come. 1 Based on read speed. 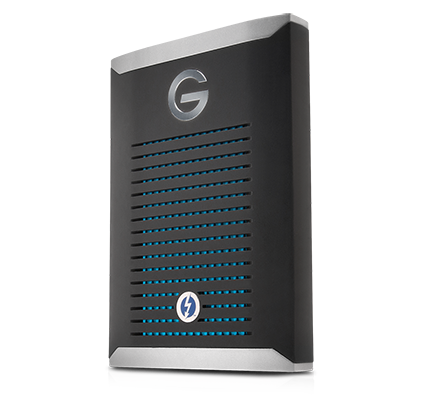 As used for transfer rate, megabyte per second (MB/s) = one million bytes per second. 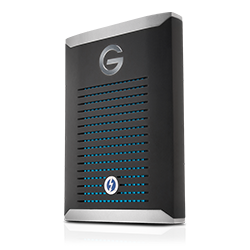 Performance will vary depending on your hardware and software components and configurations. 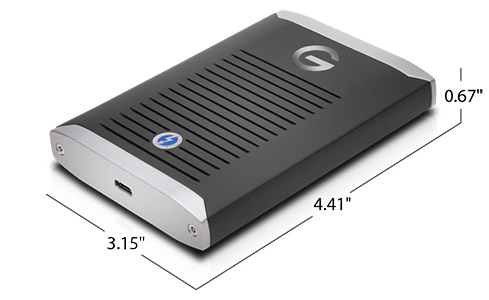 The G-DRIVE mobile Pro SSD drive provides shock-resistant storage in a durable case with 3-meter drop protection1, a 1000lb crush-proof rating, and designed with handpicked components to sustain the rigors of travel. 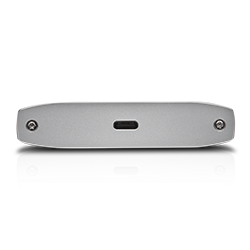 The newest version of the Thunderbolt 3 port provides a powerful, versatile connection that allows you to plug in to a compatible computer and instantly extend your storage without the need for external power. 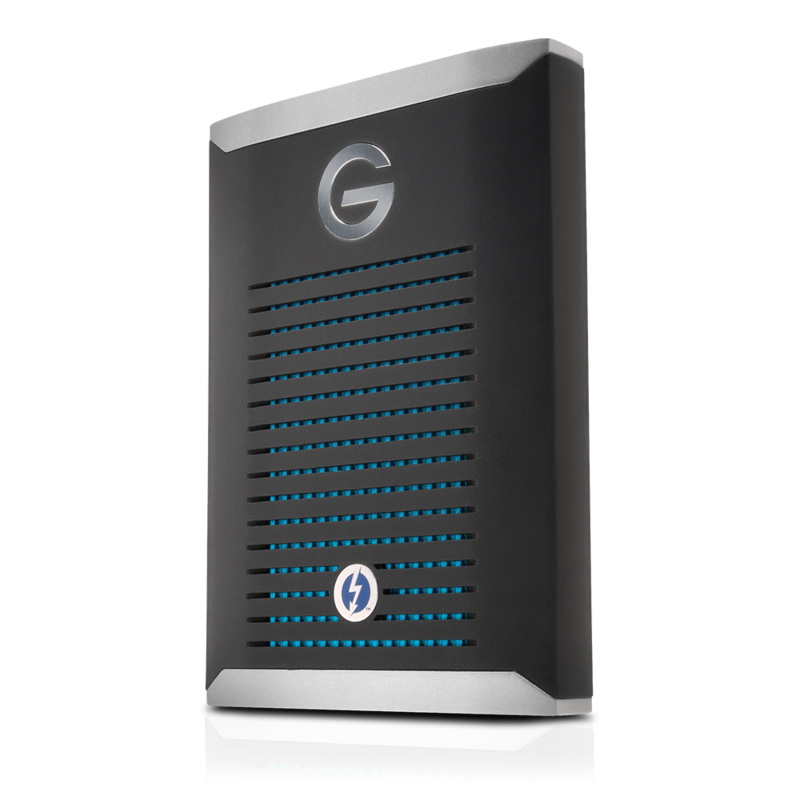 Offering an industry-leading 5-year limited warranty, the G-DRIVE mobile Pro SSD is ready to provide high-performance storage for years to come.